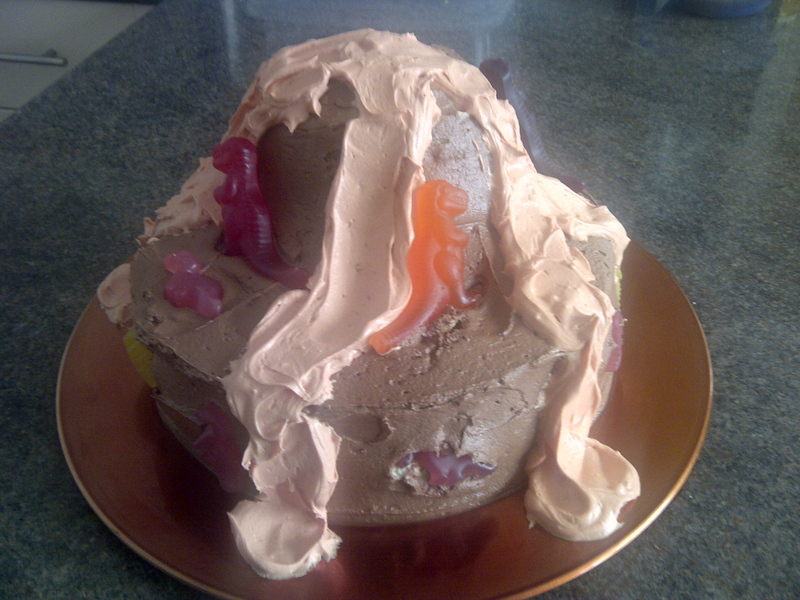 The best Birthday Volcano Cake is so easy! Just follow these simple steps. 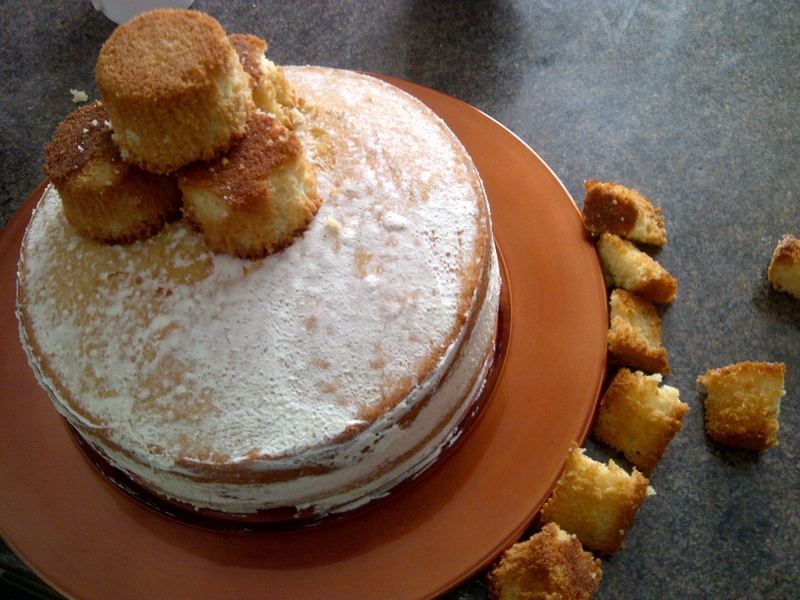 Bake two sponges using your favourite recipe. Also use a little of the mix to bake 6 cup cakes. 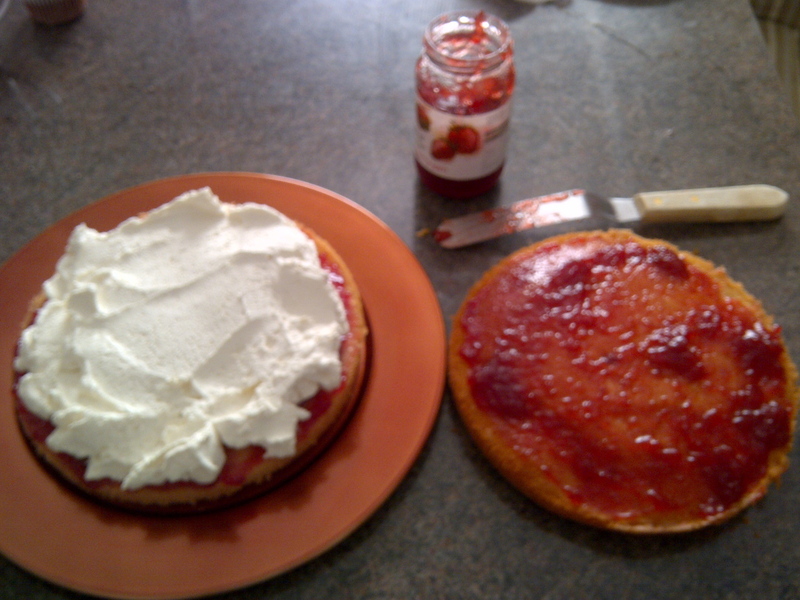 Put the second cake on top of the first (jam/jelly side to cream). 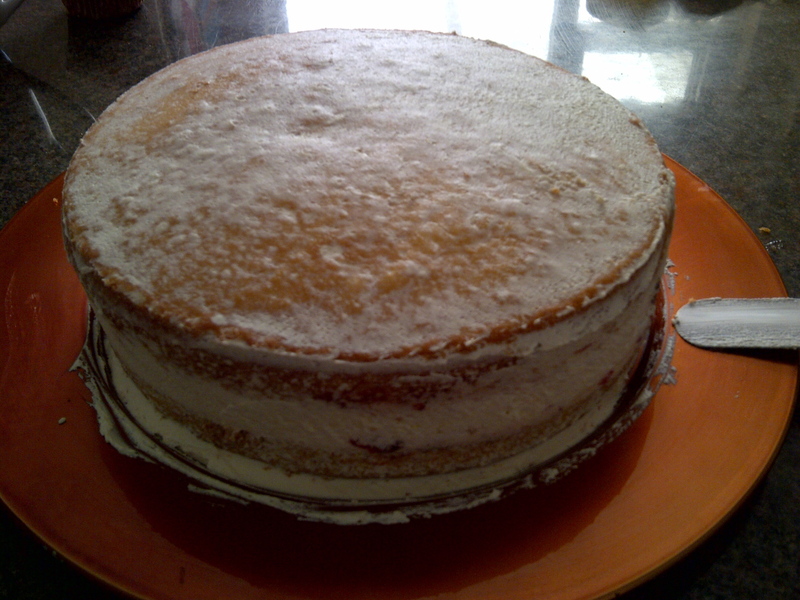 Then spread a crumb coat (or thin layer of cream) all over the cake to stop crumbs messing up your icing layer. Whip together butter and icing to make a butter cream. Add orange food colour. 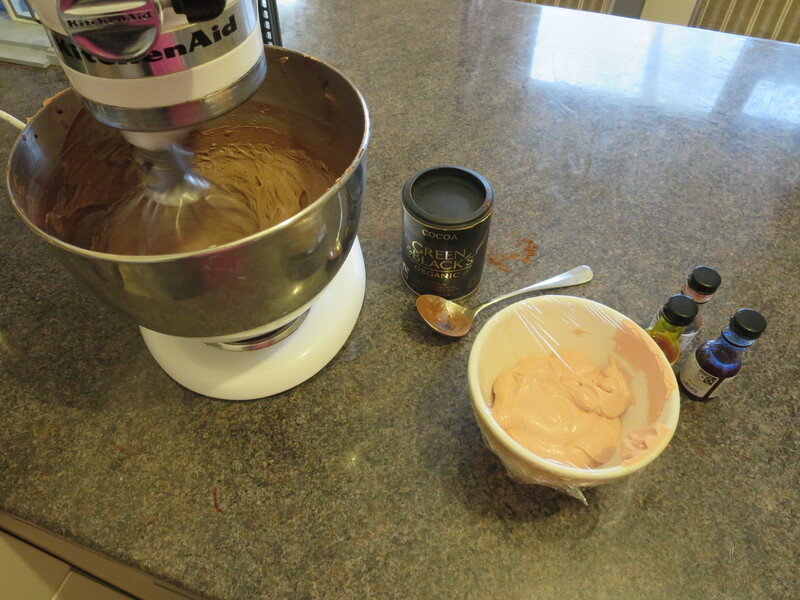 Put a small bowl of the icing to one side and then add chocolate powder to the remaining orange icing. Mix to make a lovely dark chocolate icing. (I’ve used a natural orange colour so it is not very bright). 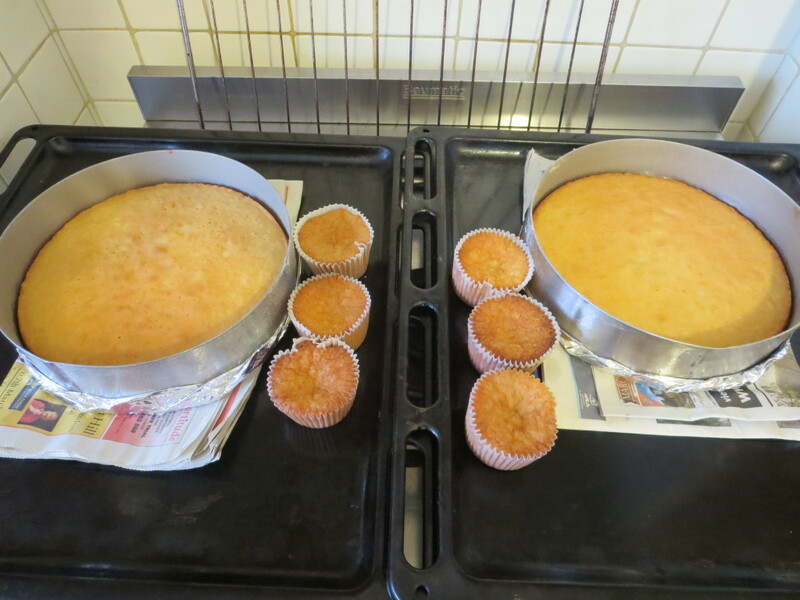 Pile 4 cup cakes onto the cake to make a mountain and cut 2 cup cakes into 1/4’s then arrange till fill in the gaps. Cover the entire cake with the chocolate icing. 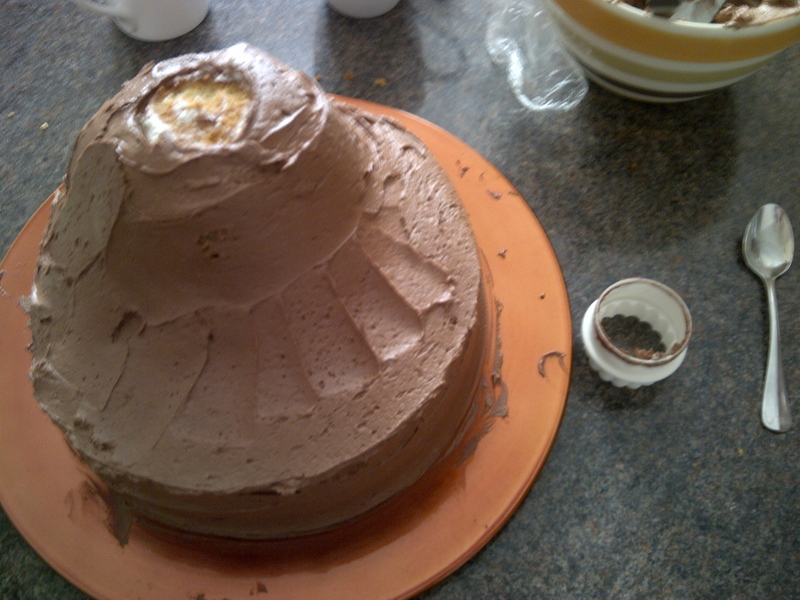 Cut out a depression in the top of the mountain from the icing. Smooth ‘rivers’ of the orange icing down the cake to form the flowing lava. Decorate as you wish. I have used neon coloured sugar and jelly dinosours. Let your create side explode! Tip – Use sparklers as candles to create a great fiery explosion. Also popping candy down the lava is great fun too! 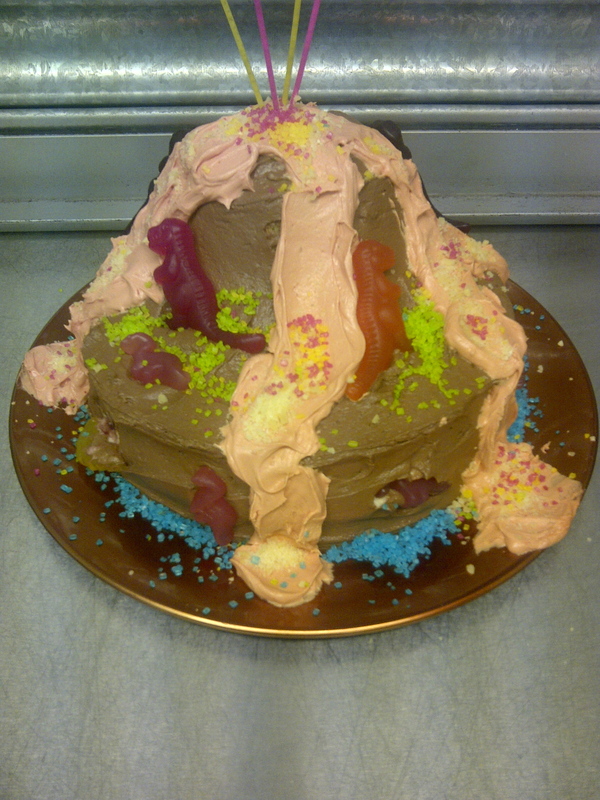 How to make a volcano cake. 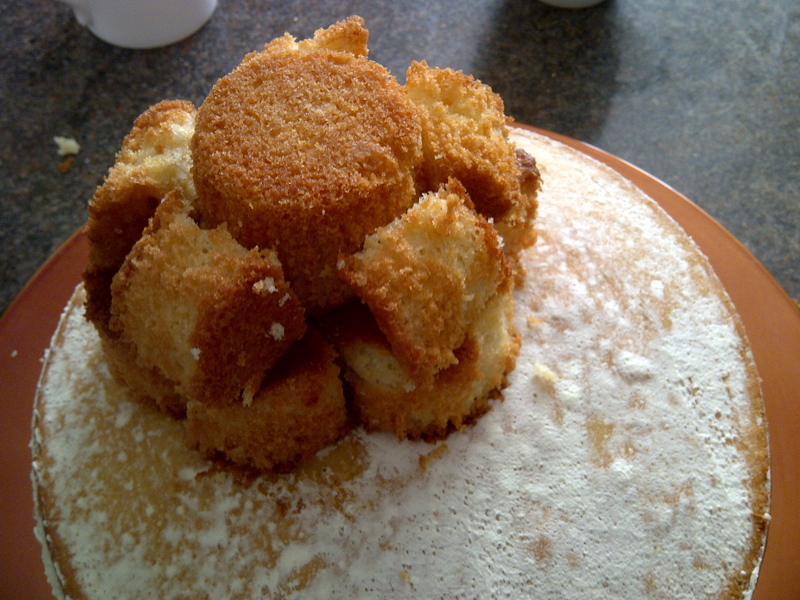 This entry was posted in Recipe and tagged Volcano Cake by Mamasim. Bookmark the permalink. Looks fabulous and as easy to make as you say. Wow, what a great cake. Will remember this recipe! Thanks Nick, and it is so simple to make!